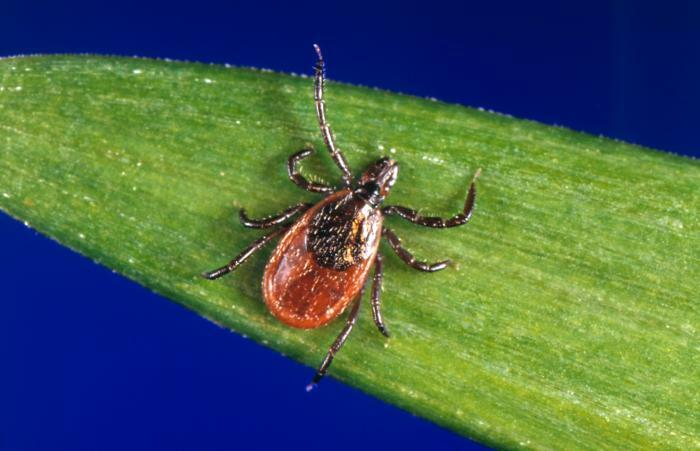 Lyme disease, transmitted by a bite from a tick infected by the Borrelia burgdorferi bacteria, had long been considered easy to treat, usually requiring a single doctor’s visit and a few weeks of antibiotics for most people. But new research from the Johns Hopkins Bloomberg School of Public Health suggests that a prolonged illness associated with the disease in some patients is more widespread and serious than previously understood. With an estimated 240,000 to 440,000 new cases of the tick-borne illness diagnosed every year, the researchers found that Lyme disease costs the U.S. health care system between $712 million and $1.3 billion a year — or nearly $3,000 per patient on average — in return doctor visits and testing, likely to investigate the cause of some patients’ lingering symptoms of fatigue, musculoskeletal pain and memory problems. These visits come after patients have finished their original course of antibiotics. Some doctors call those persistent symptoms post-treatment Lyme disease syndrome (PTLDS); others call it chronic Lyme disease. Still others attribute the complaints of fatigue, headaches and memory problems to the hum of daily life, the aches and pains that come with aging. At the core of the controversy is whether PTLDS can be a severe and chronic condition that requires more than reassurance and symptomatic therapy. While a blood test can confirm Lyme disease, there is no definitive test for PTLDS and there are no approved or proven treatments. It’s a controversial topic in medicine, the Johns Hopkins researchers say. A report on the findings was published online Feb. 4 by the journal PLOS ONE. ‘”Still others attribute the complaints of fatigue, headaches and memory problems to the hum of daily life, the aches and pains that come with aging” If this is true, then how come we had to bury our 22 year old daughter last year after a 4 year battle with Lyme? It is time for recognition of the disease, and some proper study to be done!! A lot of money could be saved if real Lyme testing came sooner to many of us. My health insurance has spent over 100k$ on my misdiagnosis, surgery, therapy, and anti-depressant drugs. None of which helped as I now know I have Lyme and secondary parasite infections. Strangely, I can’t get them to cover most of my real treatment. The system seems to be broken when it comes to Lyme disease. If you’ve been diagnosed with CFS, or Fibromyalgia, please do yourself a favor and get a Western Blot test for Lyme from a Lyme literate lab ASAP. It could save your life. It’s saved mine. I begged my family doc to do a western blot because the people I hiked with had lyme. He refused causefirst test was negative. Traveled to New Jersey for testing with Igenex and all those were negative. My body doesnt make some enzymes that produce proteins so I will NEVER test positive. Infected in 1972 never treated till 2011. Rei.infected now. Connexion dna testing will find it wirh DNA. Google it. Most accurate test available. 93 percent accuracy I think. Try connexion dna lab. Tests dna not antibodies so higher accuracy by far.